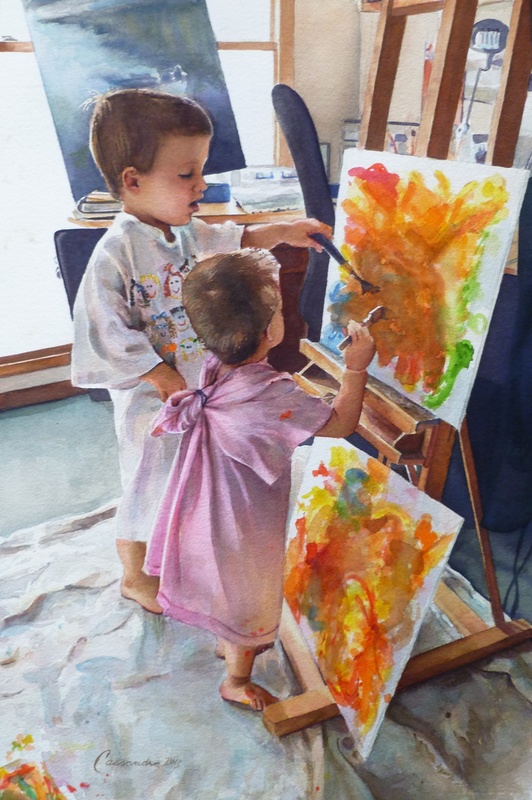 My 3 and 1 year old grandsons had fun painting in Grandma’s studio. The experience was followed by an equally fun experience for them in the bathtub! AVAILBILITY Original and Giclees are available.